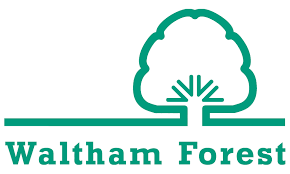 Waltham Forest ICT and Digital Services aspire to design and deliver digital technology that enables the Council to create a better future for its residents; a tough gig by anybody’s standards. Despite the challenging financial context, they’ve made some serious head way. They’ve held onto talented people through successive rounds of savings, they’ve reduced spend on suppliers while improving the quality of service and have worked with pretty much all areas of the council to help them use digital technology to innovate and reduce cost. To achieve their vision, the team needed to evolve. They’d come up with digital strategy that set out the infrastructure they’d need for the future, but realised their operating model, which had embedded silos between development and operational teams, was likely to hamper their ability to see it through. To make matters more complicated, the increasingly challenging financial situation in local government meant that unless they came up with some creative savings proposals in tandem, their plans were likely to be derailed. They also recognised they needed to start working together more effectively as a team. Despite their successes, the challenging work programme, increasing demand and ongoings savings requirements had resulted in them not always ‘seeing eye to eye’. We were asked to help them come together as a team, to address the savings challenges and to help them design a service capable of meeting the digital needs of residents both now and into the future. Any consultancy working in the public sector could, in the absence of any real understanding of the realities of service delivery, produce a glossy ‘here’s one I made earlier’ strategy, and make it sound sensible. Many do. A much more effective, though challenging approach, is to help groups of smart, committed and genuinely passionate people, responsible for making that strategy happen, work together intensively to come up with it themselves. Working with the Director of ICT and Digital, Paul, we got the backing to free-up the whole senior management team for a week and to lock them in a room. Paul set the scene and told the group that it was up to them to come up with a new operating model, savings proposals and a series of ideas to address the weaknesses their teams and stakeholders had identified during a mammoth SWOT exercise, conducted the week prior to the hack event. Using a range of facilitation and workshop techniques, we helped the group to have the difficult conversations they needed to have in order to understand their respective challenges and to build some empathy for one another. At times this was pretty tense. There were moments where it felt as though the team could have broken apart and thrown in the towel. But we, and Paul, held our nerves. The team needed to battle through these conversations to clear the air and to help them rebuild their relationships. We helped them understand where the major pain points were in the finances and worked with them to come up with ideas to resolve them without the need for salami slicing. We also brought in examples of successful operating models from outside of the public sector and helped the team to build a Wardley Map of all their functions to enable them think differently about how they could organise services in a way that was fit for the digital age. By the end of the week the team had designed of a new operating model for the service and had shared it with their Executive Director and their staff, had identified cashable savings and had designed a new structure for the service as a whole. The team recognised there was a need for significant investment in one part of the service but they worked out that this could be financed without further savings by reducing their reliance on contractors and instead hiring permanent staff to key roles. Perhaps the biggest success was that by the end of the week, it was clear we were dealing with a new team. On the Thursday, they had lunch together, which was the first time since Christmas. Together they’d built the beginnings of a new culture that demanded honesty and collaboration and that would help to breed the trust needed to work together to come up with creative solutions to the challenges their residents face on a daily basis. “Initially, I thought we might have bitten off more than we could chew and wasn’t sure if we were going to get anywhere. I’m glad I trusted the process. What you do feels different to other approaches I’ve experienced. I particularly appreciated that you produced the models, budgets and presentations we needed as we went along. The last thing I would have wanted would have been to be given 100 slides of PowerPoint at the end of the week. You helped us to come up with practical and pragmatic outputs that we could actually present, be confident in, get signed off and share at the end of the week. Could I have done this without you? I could have tried, but what we produced was immeasurably better with your help. This was an amazingly positive experience for myself and for the team. We still feel the same a week later, which speaks volumes”.